Welcome to Candaquaria Brittany! Consider stopping by our intro section and saying hello! You'll find we have lots of friendly and knowledgeable members here who can give you some stocking advice. . Consider creating a tank journal here on Canadaquaria when you start putting things together. 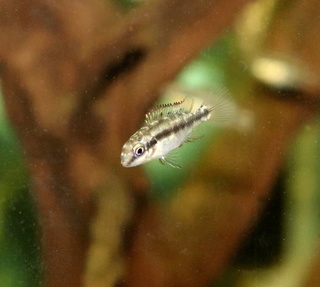 What kind of livebearers are you looking to keep? Just want to extend a welcome to you. Cant help you myself, the fish I keep dont even fit in 50g's, lol. But, you wont go wrong with any advice or suggestions forwarded your way. Some world class fish folks here, oozing knowledge and always eager to help. Good luck with your new setup! Hi Brittany, welcome to the forum! A 50 gallon is a nice size and planted is the way to go! I am a small fishes fan. If you can tell us what kind of livebearers you are looking for, it is easier to build the community around that. The fish you can never go wrong with are corydoras for the bottom. 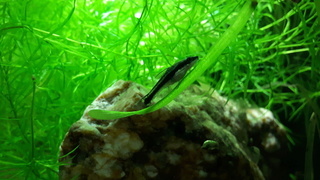 It would be great to by a nice group of 15+ pygmy cories. My favourites are the habrosus but there is also hastatus and pygmaeus. Of course you can always choose a corydora that gets bigger but then you can't have such a large group. I like these small ones as they put your plants in better perspective and complement them. 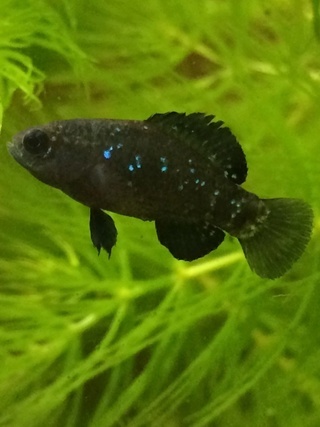 There are quit a lot of people on the forum that are keeping rarer livebearers, so different from the common petshop ones like platies, guppies and swordtails. Consider some of these; you won't be disappointed! Hi Brittany ! Welcome to the forum ! Endlers (all levels) and tetras are a nice start alongside corydoras (bottom fish), and some top level fish (I'm thinking hatchets). 50 g is an excellent size. Thanks for the welcome everyone! I was hoping to put in some mollies, guppys and sordtails to add some color to the tank, as well as some neon tetras, and endlers. @brittany9876 wrote: Thanks for the welcome everyone! I was hoping to put in some mollies, guppys and sordtails to add some color to the tank, as well as some neon tetras, and endlers. Nice choices and you will be able to get some nice varieties with strong colours. If you have your 50 g set up already and cycled, you may want to add some live plants to benefit the nitrogen cycle. Really its your choice for affordability and what catches your eye. New fish introduction : You probably have read about the quarentine tank and ensuring that new fish do not introduce disease into the aquarium. I am guessing that you also not be purchasing all your choices at one time, and perhaps not from the same LFS. In that case, over time, you will be introducing new inhabitants so you may wish to look into quarentining and isolation to prevent the spread of disease which is a common occurrence. Fish choices are very nice. Here are some comments that I am sure other members can add to. Neon tetras / cardinal tetras : buy them in schools of 6 or more as they will be happier. They add a nice splash of blue and red (more red in the cardinals case) and they are mid water schoolers with a really nice community disposition. They are prone to diseases so I am thinking that you may want these to be your first introduction into the new tank. Mollies, Guppies, Swordtails and Endlers : Livebearers (yay) and hard water fish. They can be best as pairs and give you a ubiquitous swimmer that traverses the tank and they are active. The downside is that they are prolific and the water is different than the tetras. As most LFS livestock are from farms, I would tend to think that water hardness / acidity is not an issue as they are species which are propogated and have adapted to the aquarium trade. 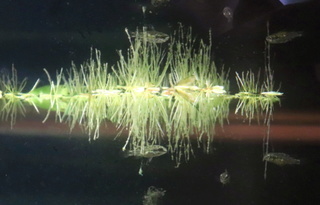 Guppies and Endlers are very similar so you will end up with hybrization if you have both species / strains. If you are not too concerned then you can have both, but if you want to maintain a specific look to your future fish, then you may want to choose Endler or Guppy. One last though about guppies are the long trailing fins which may get ragged but if you choose the LFS type, you may not have to worry about the torn finnage, unlike some of the show types that I have seen. Mollies are close to guppies, so there may be some interbreeding if you force it. Not really too much of a concern if you have enough of the same species, but if you put a guppy and a molly together, you may get a "mule". Swordtails are majestic and larger than these other livebearers. They are also more dominant because of their size. There are some strains which are very delicate and vulnerable, like the koi and butterfly, which can be tricky to keep. Since these fish are mostly under the 3 inch size range, the one inch per gallon rule is a good guide to the number of fish that can "fit" into the 50 g. The bigger long term consideration is what to do with the inevitable fry that will result. Perhaps a betta can be added as a natural control. @brittany9876 wrote: I want to have a community tank with some live bearers, but I would also like a couple slightly larger docile fish. Any suggestions for stocking the tank? Larger fish ? Are you thinking cichlids (angelfish), gouramis or rainbows ? I'll just add a thought. Do you know the hardness of your tap water? Fish are certainly adaptable, and stability is key, but having an idea of what kind of water you will be using could make deciding what fish to choose even easier. A 50 gallon. Good choice, but it does open up lots of possibilities for either lots of small or a few medium sized fish. Don't think I can add much in the way of advice other than take your time and research, read some more and then research a bit more... look at lots of pictures and videos to get a sense of fishes looks and behaviors!